In today’s legal environment, where Access to Justice is a challenge, clients cannot always afford to shell out substantial legal fees. My legal fees are fair, commensurate with my experience, and I am open to discussing set-fees, block billing, and payment plans. 2. I do my own legal work. A lawyer’s time is valuable, but so is a clients. 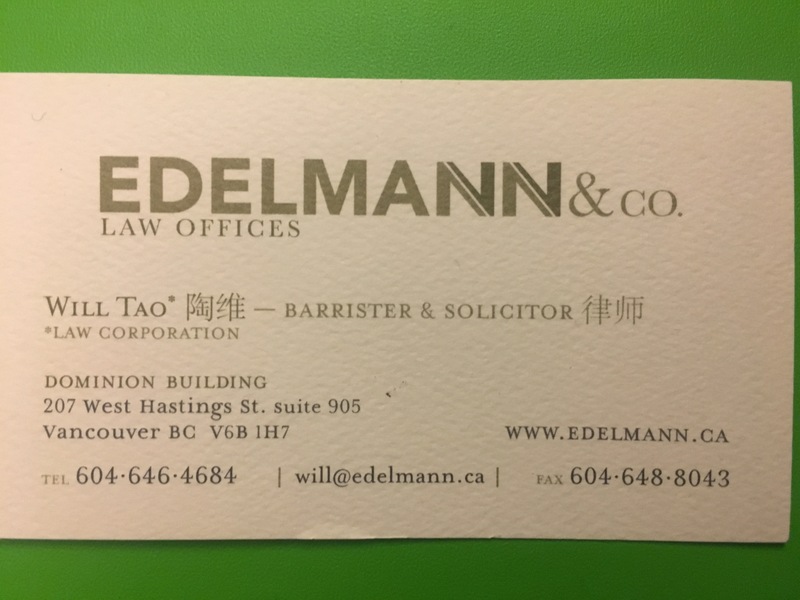 I am one of the few lawyers in Vancouver who operates almost solely without the help of an assistant. I want to fill out all your forms, make all your phone calls, and be there when you need me. Of course if hourly cost is a challenge, I will be transparent when assistants are used and how they are used. 3. I’m an immigrant’s immigration lawyer. I believe when you engage a lawyer you really engage someone to step into your shoes and be your voice. A product of immigrants, with an immigrant wife-to-be, I am one of you. I speak a second language (Mandarin) just like many Canadians. I know many of you work late, are located internationally, or simply cannot afford to see me once a week. I’ll adapt to your schedule. 4. Canadian immigration law is my passion. Outside of work, I write legal advice blogs, news articles, and mentor new Canadian immigrants. My work is my passion and I treat your application like my own family members. I studied Migration History and International Relations and have a good understanding of a variety of cultural backgrounds. I know where you fit into the Canadian mosaic and I will respect and honour your concerns, traditions, and ambitions. 5. I am fearless and compassionate. 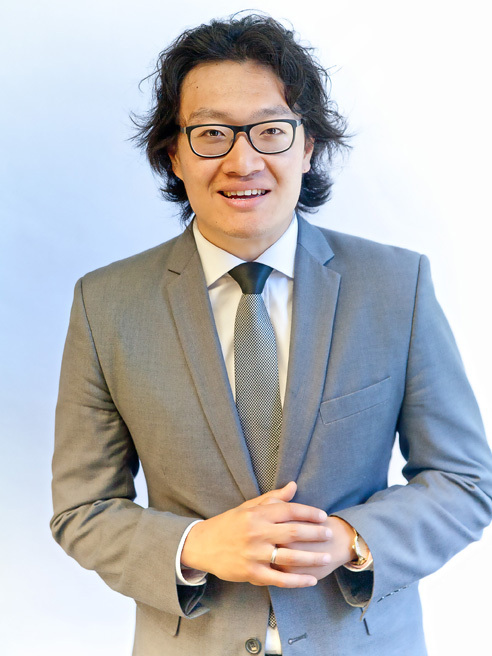 Whether you are a business hiring a foreign worker, an employee looking to work in Canada, or an individual facing a refused application or deportation, I know how much you need an advisor. Many times the immigration process and the decisions that have been made are unclear. I help you untangle the complexities and bring you some peace of mind. I don’t give up on my clients and I won’t give up on your rights under this immigration system. I’m a perfect balance of fearless in advocacy, and compassionate in person. 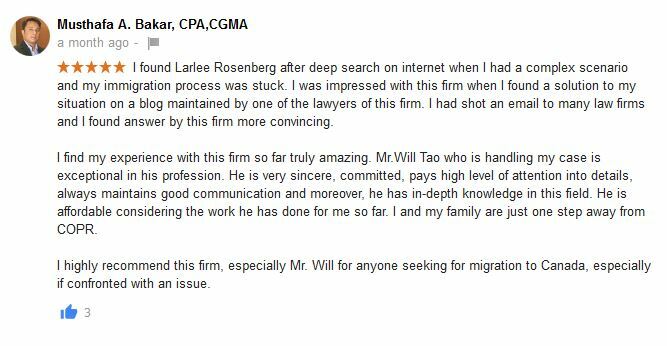 Contact me at will.tao@larlee.com and have me by your side as you navigate the complexities of Canadian immigration law. My Canadian immigration/refugee legal practice is based on trust, honesty, hard-work, and communication. I don't work for you. I work with you. You know your story best, I help frame it and deal with the deeper workings of the system that you may not understand. I hope to educate you as we work together and empower you. I aim for that moment in every matter, big or small, when a client tells me that I have become like family to them. This is why I do what I do. I am a social justice advocate and a BIPOC. I stand with brothers and sisters in the LGBTQ2+ and Indigenous communities. I don't discriminate based on the income-level of my clients - and open my doors to all. I understand the positions of relative privilege I come from and wish to never impose them on you. At the same time, I also come from vulnerability and can relate to your vulnerable experiences. I am a fierce proponent of diversity and equality. I want to challenge the racist/prejudiced institutions that still underlie our Canadian democracy and still simmer in deep-ceded mistrusts between cultural communities. I want to shatter those barriers for the next next generation and our kids. I come from humble roots, the product of immigrant parents with an immigrant spouse. I know that my birth in this country does not entitle me to anything here. I am a settler on First Nations land. Reconciliation is not something we can stick on our chests but something we need to open our hearts to. It involves acknowledging wrongdoing for the past but an optimistic hope for the future. I love my job! I get to help people for a living through some of their most difficult and life-altering times. I am grateful for my work and for my every client.